Argentina thought they could take the Falklands from the Brits. They could. Argentina thought they could keep the Falklands from the Brits. They absolutely could not. A large portion of that inability was due to the Sea Harrier. British warships sailed the length of the globe and smashed the Argentine forces in the area. Sea Harriers were responsible for interdicting aircraft the Argentines threw into the conflict-including those carrying the all-important Exocet Missile. 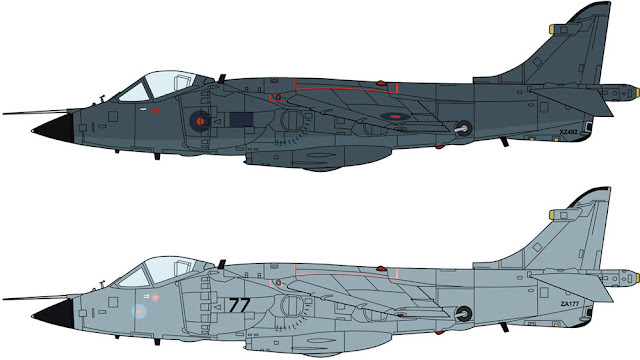 This limited edition kit combo features two Harriers from HMS Hermes.